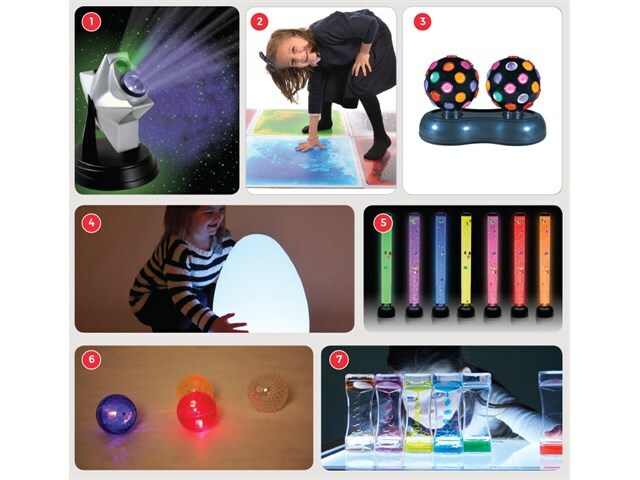 A bespoke package including some of our most popular sensory products, combining tactile, visually stimulating and calming sensory devices, the Visual Sensory Starter Kit is an ideal starter pack for your sensory room. Products are packed separately due to the size of some items. 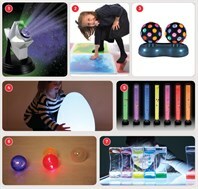 Get your sensory room off to a great start or enhance your sensory environment with our collection of popular sensory equipment. 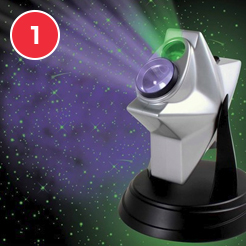 Creates a superb animated night sky in any room with the Laser Star Projector. Simply plug in and use - simple adjustments provide different effects. Read full product description. 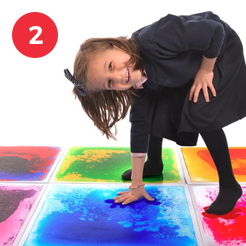 Liquid Floor Tiles provide a wonderful visual and tactile experience that really will encourage users to move around and explore the surfaces. Includes four square floor tiles in different colours. Size: 30cm x 30cm. Read full product description. 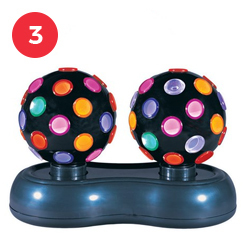 These bright, multi-coloured twin disco lights with flashing light sequence are an essential for any sensory environment. Read full product description. 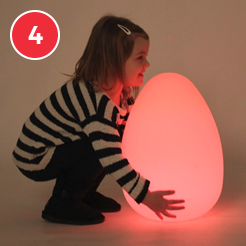 An ultra-strong illuminated egg which is aesthetically pleasing and can be placed around the room or used in a sensory area to provide background lighting. Size: 30cm x 30cm x 42cm. Read full product description. 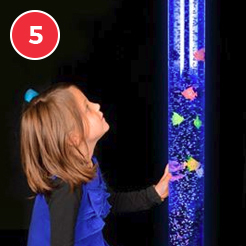 A compact bubble tube with colour changing lighting, bubbles, balls and swimming fish which makes it an ideal addition to any classroom or sensory zone. Dimensions: 10cm in diameter and 105cm in height. Includes bracket. Read full product description. 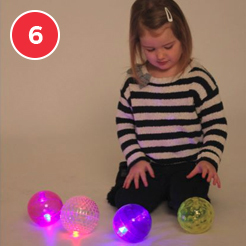 The Textured Sensory Light Ball Set has four balls with different surface textures to explore. Great for use in open play or in a sensory area. Read full product description. 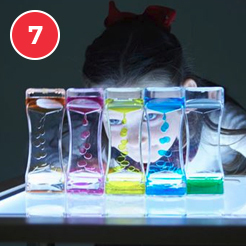 Each of the six towers included in Sensory Rainbow Cascade contains two lots of coloured liquid which cascade to the bottom in droplets at varying speeds, creating a fascinating sensory display. Read full product description. Please note products are packed separately due to the size of some items.